Born 4 August 1940, passed away peacefully on Tuesday 9 April 2019 surrounded by family. Dearly loved partner of Janice, loving father of Brent and Paul and special Grandad to many. Loved and treasured “Jock” to all of the Southey family. A special thanks to Wairarapa Hospital staff for their care. 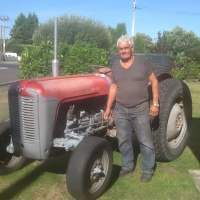 A celebration of Jock’s life will be held at the South Wairarapa Workingmans Club, West Street entrance, Greytown, tomorrow, Friday 12 April 2019 at 1.00pm followed by private cremation. Messages to the Buchan / Southey family C/- PO Box 185, Carterton 5743 or may be left on Jocks’s tribute page above.